Nestle got Cuban coffee for Nespresso. 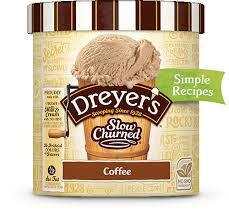 Will Nestle get Cuban coffee for Haagen-Dazs, Dreyer’s & Edy’s? — U.S. - Cuba Trade and Economic Council, Inc.
Nestle got Cuban coffee for Nespresso. Will Nestle get Cuban coffee for Haagen-Dazs, Dreyer’s & Edy’s? May 14, 2017 / U.S.-Cuba Trade and Economic Council, Inc.
Could green coffee beans from the Republic of Cuba be imported directly to the United States and then roasted, processed and distributed to flavor ice cream for these brands (and potentially others- see images below)? Or, will the green coffee beans be transported 5,000 miles from the Republic of Cuba to Switzerland and roasted and/or transformed into extract for flavoring before another 5,000-mile (or more) return journey to the United States? Thus far, Republic of Cuba government-operated Cubaexport, which manages the export of some agricultural products (including coffee and charcoal- which was directly exported to the United States in 2017), has declined authorize a United States-based company to directly import green coffee beans, despite the bilateral commercial interest, bilateral commercial value and bilateral political benefit. Not lost on management of United States-based companies is a preference by the government of the Republic of Cuba to permit a non-United States-based company to do first what in 2016 the Obama Administration authorized United States-based companies to do with respect to the direct importation of agricultural commodities from the Republic of Cuba. One reason, perhaps the reason, is the role of Vevey, Switzerland-based Nestle SA (2016 revenues approximately US$94 billion) in the economy of the Republic of Cuba. The likely first beneficiaries for Cuban coffee-infused ice creams are Oakland, California-based Dreyer’s Grand Ice Cream Holdings, Inc., and Oakland, California-based Edy’s Grand Ice Cream which are wholly-owned by Nestle SA; and Oakland, California-based Haagen-Dazs which is distributed by Nestle SA. Expect the soon-to-open Gran Hotel Kempinski Manzana La Habana, managed by Geneva, Switzerland-based Kempinski Hotels SA, the first property in the Republic of Cuba to likely earn a four or five rating from AAA and/or Forbes Travel Guide, to serve guests products (nightly turn-down service including chocolates on pillows?) from Switzerland and, specifically from Nestle SA. It's first guests will check-in on 31 May 2017. NOTE: In the 1990’s, Mr. Ian Delaney, then-Chairman of Toronto, Canada-based Sherritt International, which at the time was aggressively diversifying throughout the Republic of Cuba- mining, oil, natural gas, hospitality, agriculture, etc., as the largest source of Direct Foreign Investment (DFI) in the country, shared that the company would become the “Canadian Pacific” of the Republic of Cuba, referencing the transcontinental commercial, economic and political impact of the diversified conglomerate. The remark was negatively-interpreted by the government of the Republic of Cuba; as it represented ghosts of the pre-1959 presence in the Republic of Cuba by United States-based companies. Sherritt International has since relinquished some of its holdings; and no longer envisions (or is envisioned has having) the depth of influence its then-chairman had forecasted for the company. Nestle SA is unlikely to suffer from the “Canadian Pacific” comparative narrative. In November 2016, London, United Kingdom-based Unilver Plc (2016 revenues approximately US$65 billion) commenced construction on a joint venture (of which it will own 60%) facility valued at US$35 million in the Republic of Cuba to produce soap, detergent, deodorant and toothpaste. Production is scheduled to commence in 2018. Unilever had a joint venture in the Republic of Cuba from the mid-1990's until 2012 when it ended due to operational disagreements. The company continued to export products to the Republic of Cuba. In 2016, New York, New York-based Nestle Nespresso USA, Inc., a subsidiary of Nestle SA, purchased a container of approximately eighteen (18) tons of green coffee beans through London, United Kingdom-based Cubana Coffee & Roastery (www.cubana.co.uk), the established bar-restaurant and coffee roasting group, and London, United Kingdom-based The Cuba Mountain Coffee Company Ltd (www.almacuba.com). Nestle Nespresso USA, Inc., has obtained additional green coffee beans from the 2016-2017 harvest in the Republic of Cuba and continues to produce capsules for distribution throughout the world, including in the United States.